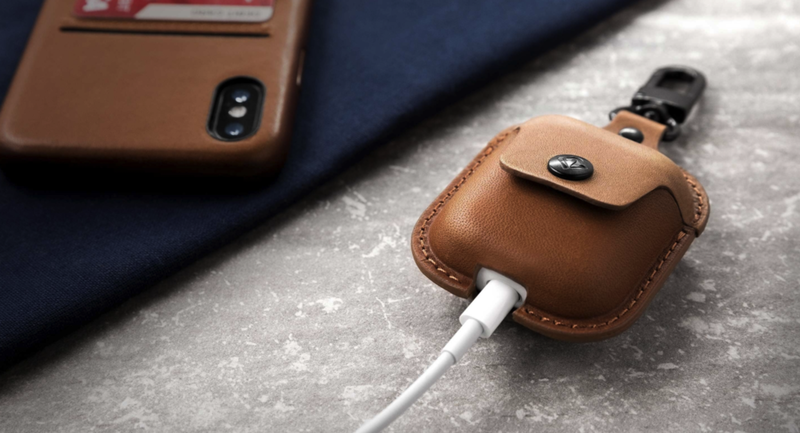 The design of AirSnap is simple; it's a well-made leather case that the AirPod charger fits into, with a gap in the bottom for charging and a snap closure to keep the charger from falling out. The real genius of the design is the small metal carabiner-type clip (spring-loaded) on top. Take that and snap it to a strap or onto a similar carabiner inside a backpack, and your AirPods will never get lost again. The carabiner swivels so the case doesn't get tangled up. As you'd expect from Twelve South, this is a very well-made product. Compared to a similar AirPod case from another manufacturer...well, there is no comparison. 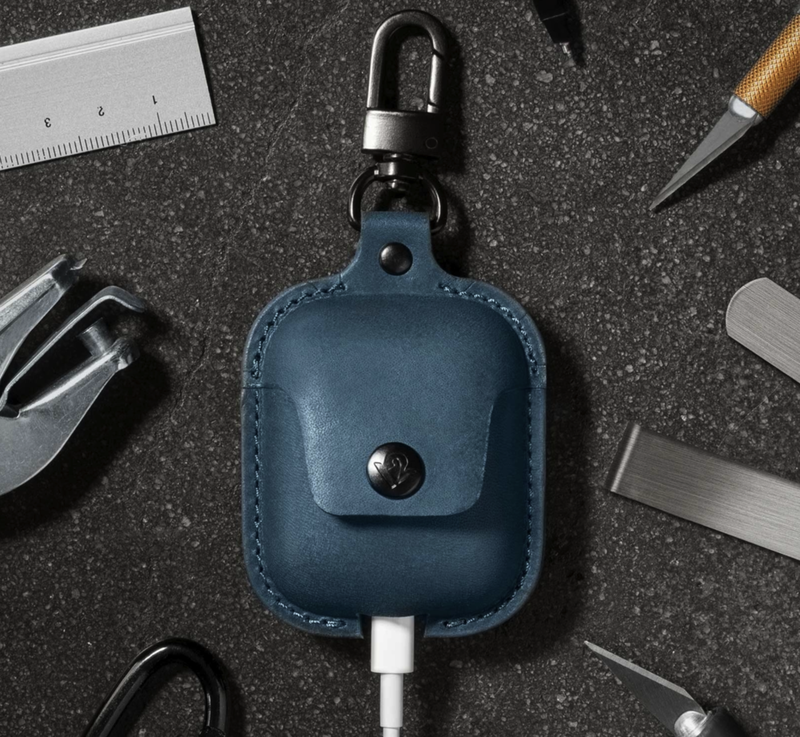 The construction of the leather case is top-notch, fitting the AirPods charger like a leather glove. The snap could be a cheap plastic one like I've seen on other leather products, but Twelve South uses a metal snap that will last a long time and closes with a satisfying "click". AirSnap comes in three different colors; dark teal, black, and tan. At $30 it may seem like a luxury item, but if AirSnap can keep you from losing your $160 AirPods and look better than white plastic in the process, it's worth the price.